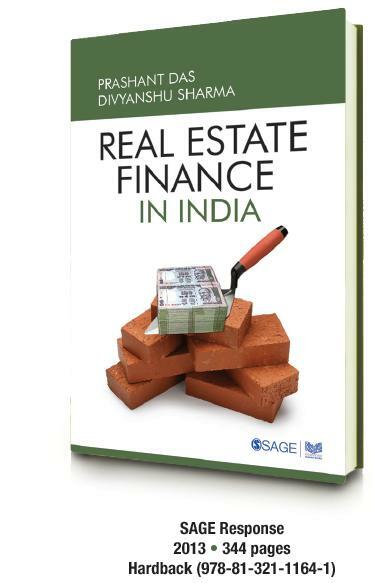 BOOKS | Prashant Das, Ph.D.
‘Real Estate Finance in India‘ offers a concise yet comprehensive understanding of real estate finance in India. 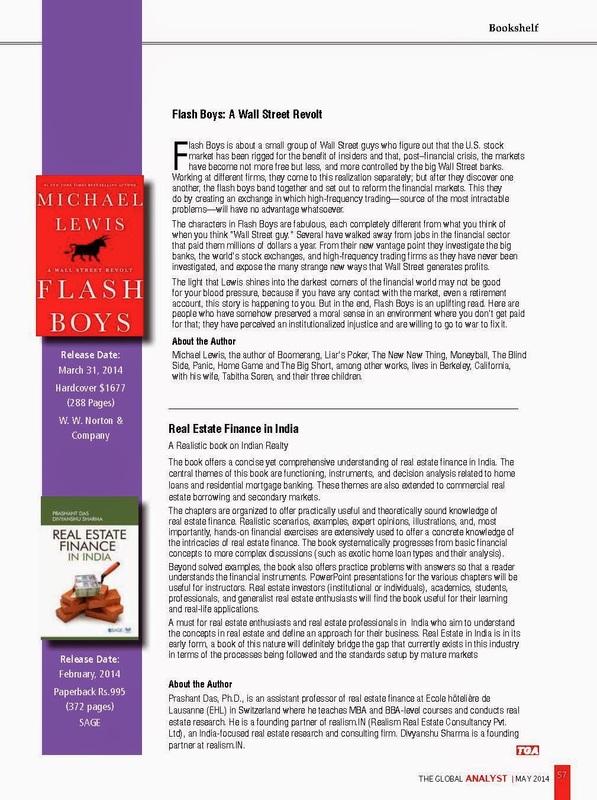 Functioning, instruments, and decision analysis related to home loans and residential mortgage banking is the central theme of the book. This knowledge is also extended to commercial real estate borrowing and secondary markets. The contents are organized to offer practically useful and theoretically sound knowledge of the subject matter. Real estate investors (institutional or individuals), academics, students, professionals, and generalist real estate enthusiasts will find the book useful for their learning and real-life applications. The book systematically progresses from basic financial concepts to more complex discussions (such as exotic home loan types and their analysis). Realistic scenarios, examples, expert opinions, illustrations, and, most importantly, hands-on financial exercises are extensively used to offer a concrete knowledge of the intricacies of finance. Beyond solved examples, the book also offers practice problems with answers so that a reader understands the financial instruments. Instructors are provided with PowerPoint presentations for the various chapters. This book provides insights into commercial and residential real estate markets in one of the world’s fastest growing regions: South Asia. Despite being the growth leader of the future, South Asia is among the “least integrated” regions with a large need for real estate-specific information and knowledge. Scholars and industry practitioners of a variety of backgrounds come together to provide pan-regional and country-specific insights into -amongst others- institutional, economic and real estate market characteristics, real-estate specific legislations, real estate financing, development and urban planning practices in Bangladesh, Bhutan, India, the Maldives, Nepal, Pakistan and Sri Lanka. A particular focus of the book is on topics such as the provision of affordable housing, sustainability, innovative office concepts such as coworking and the development of REIT markets in South Asia. This book integrates knowledge on real estate markets in and across South Asian countries by means of country profiles and case studies to provide industry professionals, policy makers and scholars with a fundamental understanding of characteristics, opportunities and challenges in the region. The book is intended for readers with interests in real estate development, finance and investment, urban planning and housing in South Asia. It is also suitable as reference textbook for undergraduate and graduate students in programs focusing on real estate, economic development, urban planning and public policy in South Asia and other emerging countries. ‘Residential Real Estate in China, Past, Present & Future,’ Thomson West Reuters Press. In “Corporate Counsel’s Guide to Doing Business in China” (3d, 2012-2013) by Kenneth A. Cutshaw, Michael E. Burke, Christopher A. Wagner.